Istanbul Bosphorus and Black Sea full day tour with lunch and have opportunity to swim. Istanbul Bosphorus and Black Sea cruise is most popular tour in Istanbul. 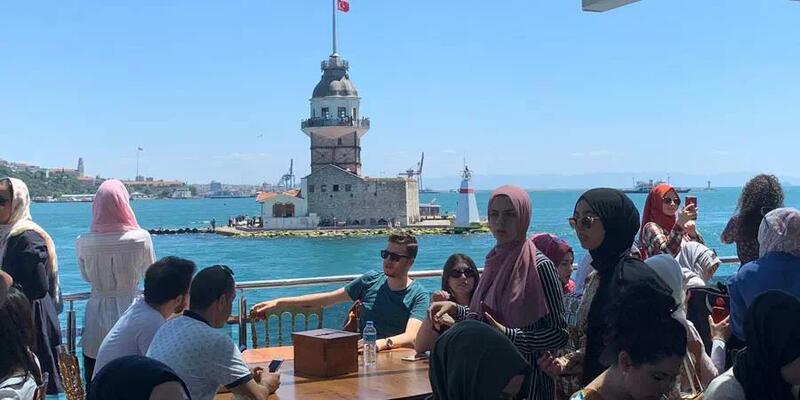 You will get as far as to the Black Sea and discover the historical beauties of the European and Asian shores such as Ortakoy (Europe), Kucuksu Palace (Asia), Rumeli Fortress (Europe), Anadolu Kavagi (Blacksea Village) and Poyrazkoy where Bosphorus Strait meet with Black Sea. 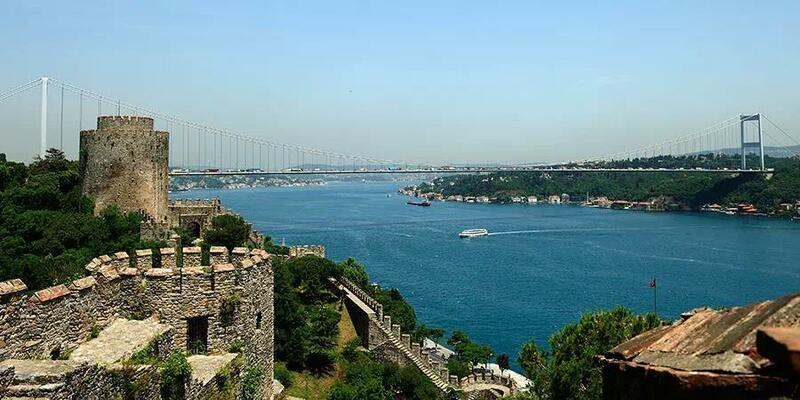 You will visit the most spectacular sights on both sides of the Istanbul Bosphorus European and Asian Sides. You will served with complimentary beverages and lunch on the board. (Lunch includes; grilled chicken served with Turkish starters called as “meze”, seasonal salads and soft drinks). The vegetarian food is also available. 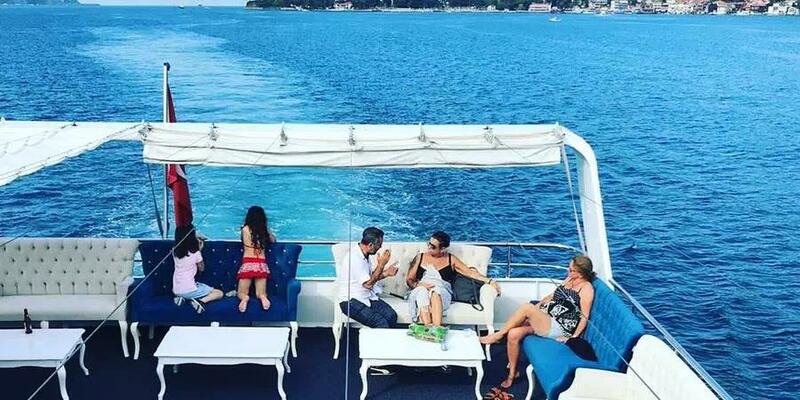 We will pick up you from your hotel for the boat ride and take you to the Kabatas Pier where you will get on board. Ortakoy is your first stop, Ortakoy is a charming, picturesque neighborhood on the European side of Istanbul. Ortakoy area is popular for local restaurants, shops and coffee shops. On Sundays a local handicraft market is set up here and wares of local artisans are sold here. You can enjoy your free time here to stretch your legs and explore the narrow and enchanting streets. Kucuksu Palace is second stop, Kucuksu Palace on Asian Side an impressive 19th-century Baroque style Ottoman Palace founded by Sultan Abdulmecit. Snack Service on The Boat, after departing from the palace you'll be served with snacks tea and coffee on the boat. Visiting Rumeli Fortress on European side of Bosphorus. Explore this splendid fortress built by Sultan Fatih Mehmet II situated at the narrowest part of the Bosphorus. A fantastic place with a great panoramic view, also known as a perfect location for taking great photographs. Lunch Break on boat, After exploring the Rumeli Fortress you'll return to the boat for lunch. 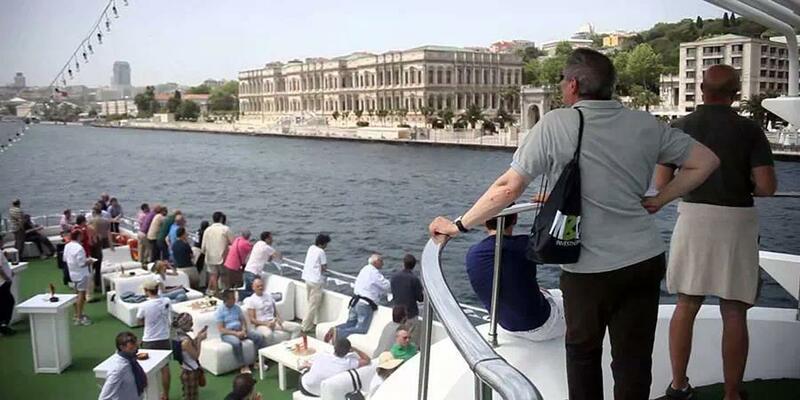 You will have your lunch while cruising along the Istanbul Bosphorus. 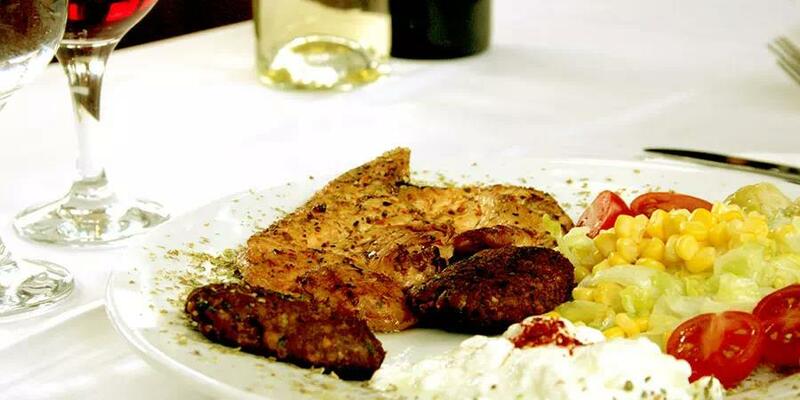 You'll be served grilled chicken and traditional Turkish starters called meze with soft drinks. Vegetarian lunch options are also available upon request. Anadolu Kavagi is a fishing village on the Asian side. You’ll also have time to stroll around and enjoy the villages famous ice-cream and waffle. Poyrazkoy, Black Sea as we approach to the northern end of the Bosphorus Strait, our tour will continue with the Black Sea. We will stop at a beautiful cove on the Asian side where you'll have the chance to go for swimming and enjoy the beautiful sunshine. We return back to the Kabatas Pier in the late afternoon and from there you will be taken back to your hotels by our minibuses. Note: Please do not forget to bring your own swimming suits, comfortable shoes, and towels. You will also be able to swim of the boat and your day will be an unforgettable one. Lunch on board and snacks, soft drinks, fruit services. Children between the ages of 0-2 years are free of charge. Children between the ages of 3-6 years are discounted price. 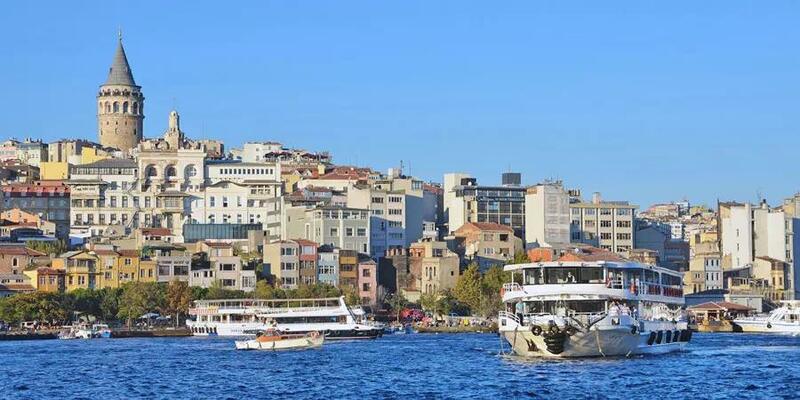 What Bosphorus Cruise Tour to Take in Istanbul?